The above Photo is of Val Walters and shows the UFO she and her two companions saw in July 1981. Illustration compiled by David Sankey. Hi Everybody, I thought I would update you regarding the progress of Volume 8 which is currently waiting another final proof check, this involves printing off the pages as well as checking the print ready PDF.This costs quite a bit of money.But is the only way to ensure that errors are minimal. 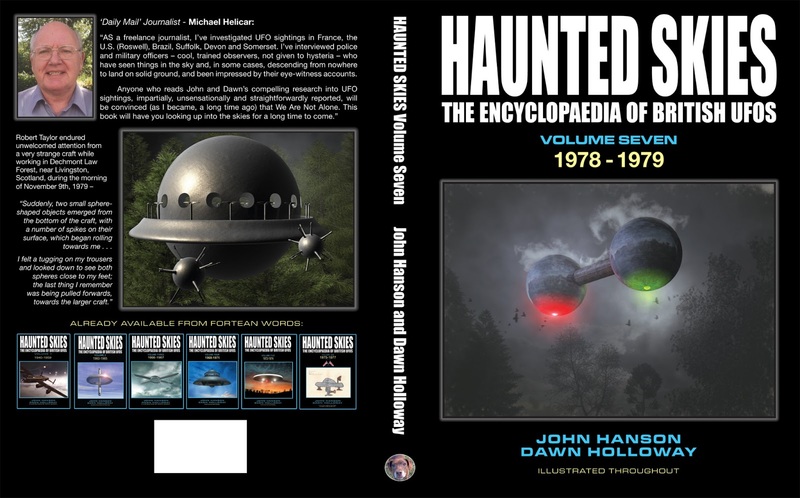 We can tell you that this book has been split into 12 chapters, and thatit is a new breed of Haunted Skies Books published by myself andunder my control. 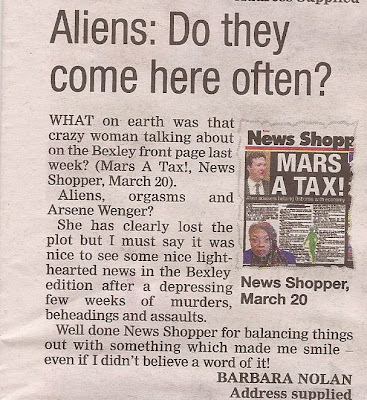 Sometimes people don’t realise that this is a ‘rolling road’ of UFO re- investigations, involving trip far and wide all at our own expense. These books are not about us they belong to everyone it is their history we are trying to preserve. I could have published Volume 8 and onwards in black and white and increased the size of the publisher’s compensation, but I have chosen to publish in colour because I think people want to see some incredible images in colour. I hope I don’t have to increase the price of this Volume (A third larger for the same amount of money if I do it will be a pound or two….I cant sell book at a huge loss, as I need some money to plough into the next one, each and every Volume cost me approx £500 for the work to be typeset into the book by Bob Tibbitts. But he is making fantastic job of it and I thank him for all of his much valued assistance. Bob is more than willing to discuss with anybody that is interested in geting their own book published via (Print ready PDF) a life dream for most of us. He is highly recommended and has a lifetime in the print industry, so if anyone wants him to build up a print ready PDF with all of your photographs, and text, whether it be ‘Our favourite cats’ ‘My old Mum and Dad,’ or a ‘Scientific study of the Universe’, Bob is the man! He can be contacted on isetcdart@tiscali.co.uk. This way you get your book in print something for the grandkids....or a precious gift to a loved one! Thank you to Philip Mantle for his invaluable help, and also Kevin Goodman for plugging Haunted Skies during many podcasts.regards to you Kev and your lovely Aunt Bessie! Hopefully the people that read the online magazine Matrix will have the opportunity of being able to read something about the progress of Haunted Skies thanks to David Franklyn of Healing of Atlantis for promising to get the latest books onto the website, and thanks go to Matt Lyons head of BUFORA for his support. Thank goodness they have all helped us because otherwise these books would never have been produced….Thank you all for your help……John Hanson and Dawn Holloway (Dawn seen here relaxing on a short break to sunny Devon) Did you ever see so many darned midges!! 3rd photo seal off Buck Mills coast, being chased by a seagull. 4th Photo Mum and offspring. Volume 7 produced by us has a look inside search facility on Amazon. Volume 8 which is in colour has been finally completed. in Rendlesham Forest a mind boggling 32years ago! and Philip Kinsella, which is hoped to be out in June 2013.
some thanks so much Robert for all of your help. a great talk with David Hodrien, his Dad and other members of BUFOG. Aunt Bessie apple pie in the corner behind after your last talk! personally but enjoyed chatting to him over the years. to the Q.E Hospital in Birmingham. They are the real Heroes! The Haunted Skies Mouse Mickey at feeding time! fully supported us over the years. printed it although they printed others..
Reptilians that have offered her bodily comfort amongst other things! 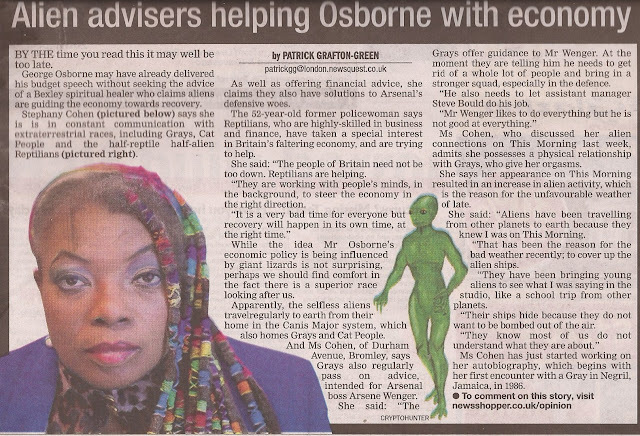 untrustworthy and unworthy of comment. presence is here –to stay. 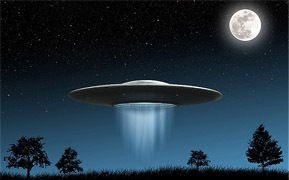 Massive UFO sighting, multiple credible witnesses. After UFO-PRSA last monthly meeting last Wednesday April 10th six of our committee and members were standing talking in the carpark area, myself, Dom, Darren, Kellie, Mike and Mark. It was around 10.45pm and it was a beautiful clear night sky. While we were talking we were casually monitoring the sky, as one does, watching two aircraft approaching. At first they were side by side, one had the distinguishable red and green lights and strobe flashing it was definitely a plane, we could hear it. The other caught our attention, it was bigger, brighter no strobing and no red and green navigational lights. We were commenting on this as we watched them overhead, the aeroplane stayed on course, from east to west while the other one overtook the aeroplane veering off to the south. We were still speculating about this seconds later when Darren, still looking up, called out what the .... is that, can you see that guys? We all looked up and witnessed this massive craft passing overhead travelling south. It was triangular, boomerang shape, with some type of construction attatched to it, no lights, no noise and it blocked out the stars as it passed. We were all gob smacked, none of us has ever seen anything like this before and we have seen our share of craft and lights in the sky over the years of nightwatching. Attatched is a sketch of what we saw, drawn by Mark. Myself and 10 or so members had a similar sighting about 6 years ago standing in the carpark talking after a meeting. It was around 10.30pm and we were gathered in the Campbelltown Library carpark ( close to the Arts Centre ) Laszlo drew our attention to a silent object passing overhead. This too was massive, triangular shape but had it's lights on, forming the shape of an arrow. It was silent and blocking out the stars as it passed, so we knew it was a solid object..
Have a look at the sketch, has anyone ever seen anything like this before, we would be interested to know, thank you. Volume 8 progresses towards completion 80% there! Forest incident for the end of December 1980, for Volume 8 (1980)! Hi from Rendlesham Forest ! end within the next fortnight. 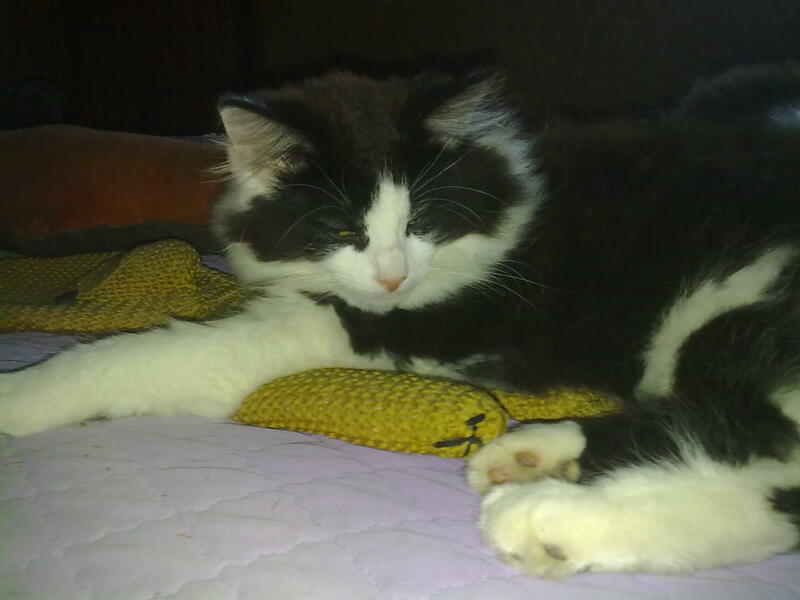 next time you come to see us there will be an extra helping of custard! rather than run at a loss. 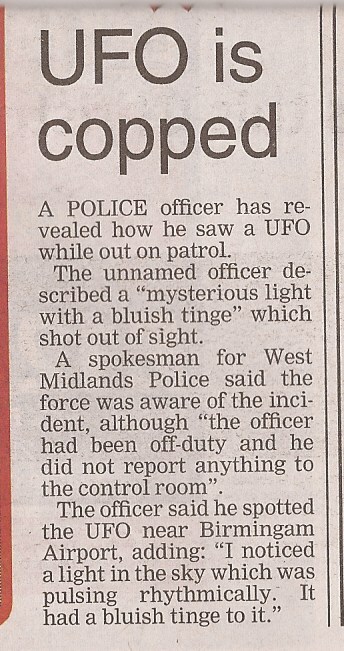 I see that the Sun and Metro newspaper covered the sighting by the Police dog handler, in their usual tongue in cheek fashion judging by the banner grabbing headline! This was the same newspaper that asked for Volume 1 a couple of years ago and promised to publish an article about us, the silence is deafening,! (which I doubt) surely this is imagination run riot. For a start no aircraft were scambled to my knowledge! 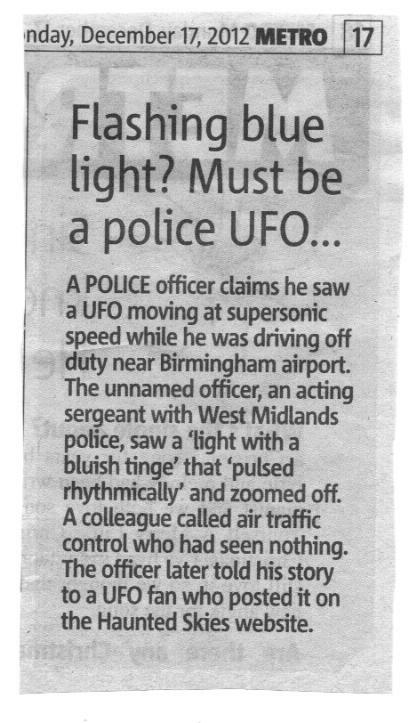 I have no idea where this illustration has come from the Officer saw a light not a spaceship! 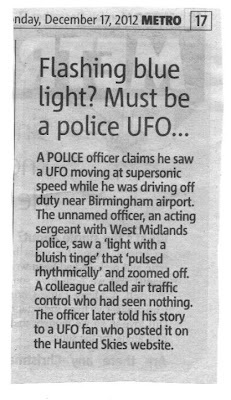 As a retired Police Officer who spent nearly 30years in the West Midlands Police force, I would like to say that if while on duty or otherwise some one had come up to me and reported having seen aliens or flying saucers. I would have believed they were either suffering from alcoholic intoxication or mentally unbalanced! 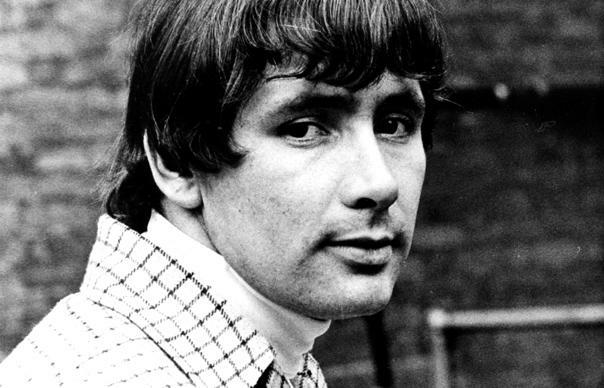 However my attitude was to change when my son Chris then a serving P.C. 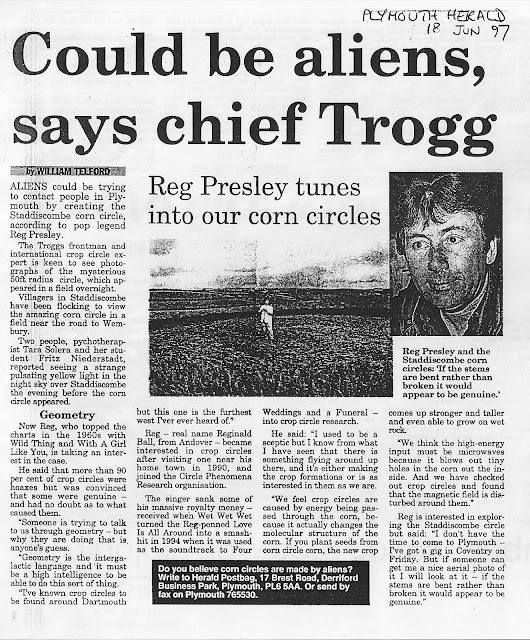 with the same force was asked to interview a Doctor who had seen something unusual flying through the sky over Moseley Birmingham in January 1995.Following that interview he and his colleague witnessed a saucer shaped object hovering above a tree in a suburb a short distance away. My first response was to wonder if my son was playing practical joke but as he seemed serious I decided to conduct my own research wondering if such things existed. Over the space of some months I contacted a number of people who had witnessed a similar phenomenon at about the same time. 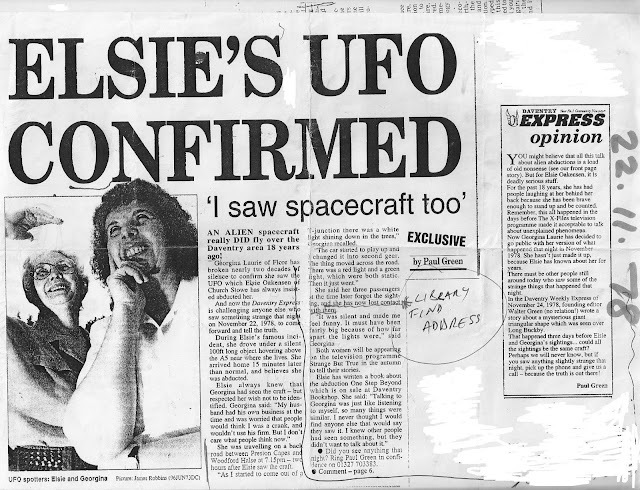 Although the local newspapers had suggested it was a meteorite, I felt it highly unlikely this was to be the case and decided as time went by and other witnesses contacted me about their strange sightings to write a book, along with my partner Dawn Marina Holloway. We decided the best course of action was to accumulate as much evidence as we could find and form our own conclusions based on direct interviews rather than second hand information. Obviously as the years passed away this wasn’t always possible, but we persevered feeling that this was valuable English social history, and should be preserved .It shouldn’t be ignored or treated in the main with tongue in cheek comments, by the Nationals which in the main has always been their attitude(apart from the local newspapers) We have now published Seven Volumes cataloguing the events from 1940-179, which should give an indication of how prolific the sightings have been during those years. Volume 7 is on Amazon .com (2013) and we invite you to have a look inside the book as there is a facility for the reader to do this. 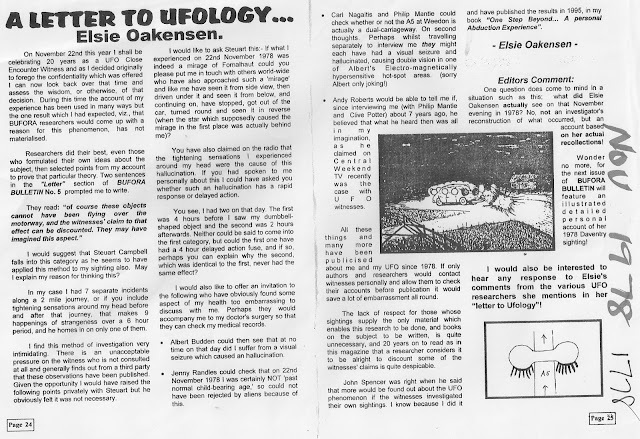 At the moment we are working on Volume 8 which covers just 12months of British UFO history this will include our write up of the incident at Rendlesham Forest Suffolk in December 1980. 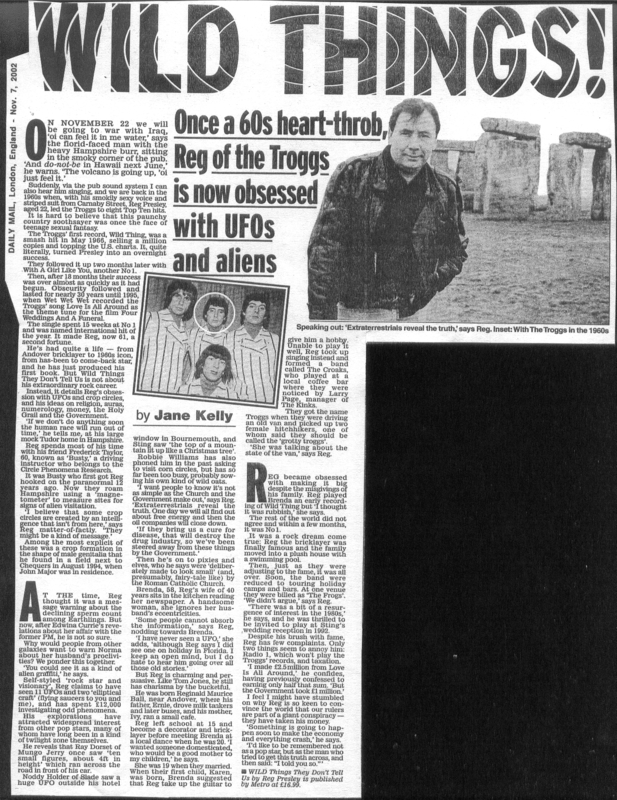 When Volume 1 was published we sent copies of the book to various National newspapers including the Daily Telegraph ,who asked for them unfortunately we have never had one article published on us which seems rather odd, bearing in mind that we have been promised much but have been given little. If there is one thing we have done it is to preserve the history of the British UFO phenomena but the silence is deafening, will this email change the things I doubt it, but one this is assured the books will continue to be published as we feel this is important evidence based on eyewitness testimonials from, senior RAF officers, Police Officers and members of scientific based community who have never stated they saw aliens or spaceships, just that this is what we saw -make of what you will. 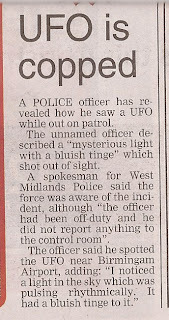 2years of British UFO Activity! placed onto Amazon so that people can read selected parts of the book. By the way we are pleased about the sales of this book, it appears to have outstripped all of the other put together! out there, who have supported us so far. This is a rare photograph of Sarah Falkland the Midlands News reader. never mind the local TV. One thing we thrive on is adversity! facebook- pay back time Vixen! Signs in our fire! 1921? Vicky and Abbey! This is a copy of the text sent to Richard Peach for inclusion in the next Magazine which is on line and goes all round the World. 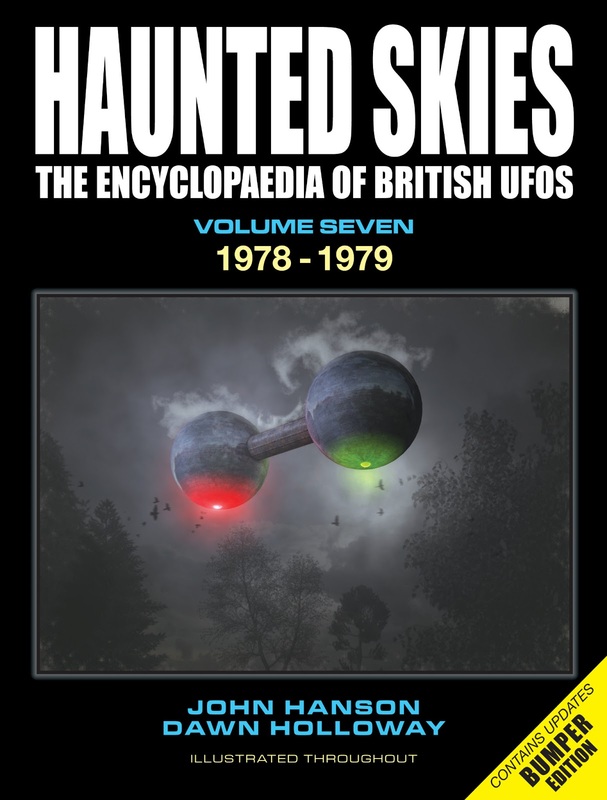 It seemed the right opportunity to check out the on going series of Books entitled Haunted Skies which are being written and now published right in the heart of our Village. 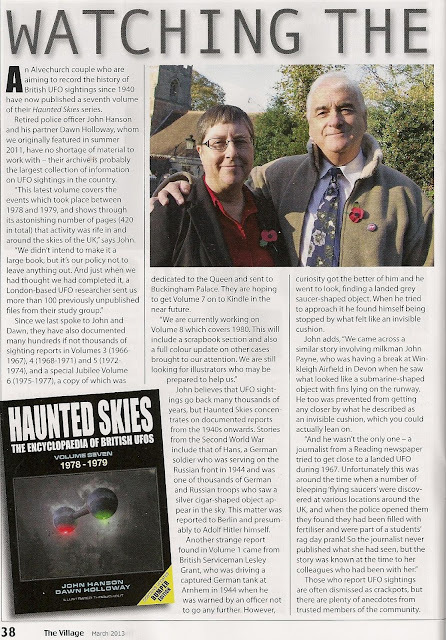 The reader may remember that we published an article about retired police officer John Hanson and his partner Dawn Holloway endeavours to record the history of UFO/strange phenomena in our July/August 2011 issue. Volume 7 which is the couples latest offering was published by John himself owing to the fact that after over two years the couple were finding the constant trips back and forwards to their Devon based publisher sometimes twice a month arduous and very costly. John” This Volume covers the events which took place between 1978 and 1979, and shows through its astonishing number of pages(420 in total) that activity was rife in and around the skies of the UK. 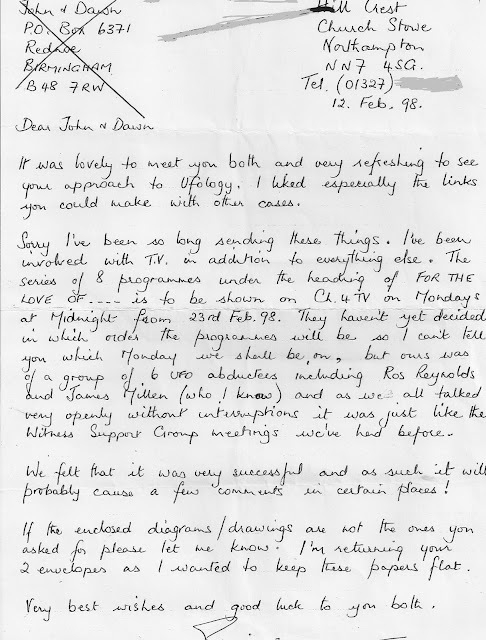 I asked John if he had any personal views or opinions as to the source of the many hundreds if not thousands of sighting reports documented in the now published Volumes- 3 (1966-1967) Volume 4 (1968-1971) Volume 5 (1972-1974) and the Jubilee Volume 6 (1975-1977) a copy of which was dedicated to Her Royal Majesty and sent to Buckingham Palace. John told me about Hans a German soldier who was serving on the Russian front in 1944 when thousands of German and Russian troops saw a silver cigar shaped object appear in the sky. This matter was reported to Berlin and presumably Adolf Hitler himself. Rather anecdotally the German soldiers knew the war was going badly for them after they captured a convoy of American trucks containing tons of chocolate! On a more sober note Hans returned to the regiment after being wounded and found only one comrade remained alive from the ongoing conflict. 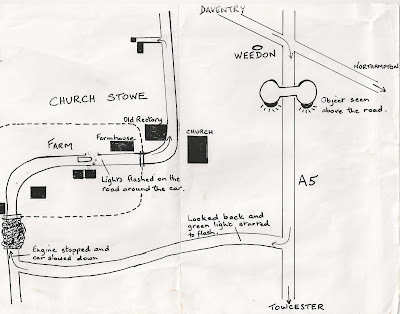 Another strange report found in Volume 1 came from Lesley Grant a British Serviceman, who was driving a captured German tank at Arnhem, in 1944 when he was warned by an officer not to go any further. 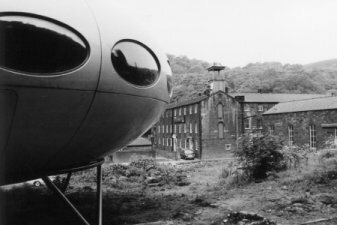 Curiosity got the better of him when he had look he saw a landed grey saucer shaped object. 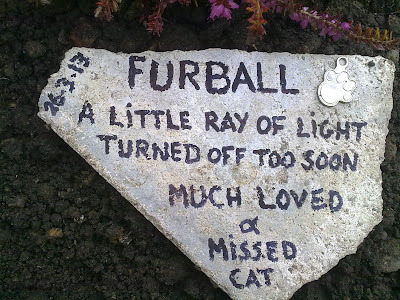 When he tried to approach it he found himself being stopped by what felt like an invisible cushion. 2- A Special Constable from Kent who was with two other officers when they saw three black disc shaped object moving over the sky in formation at Minnis Bay, Birchington -on –Sea, way back in the 1950’s. 3-A retired PC from the Nottinghamshire Constabulary told of an object that had landed in 1976. 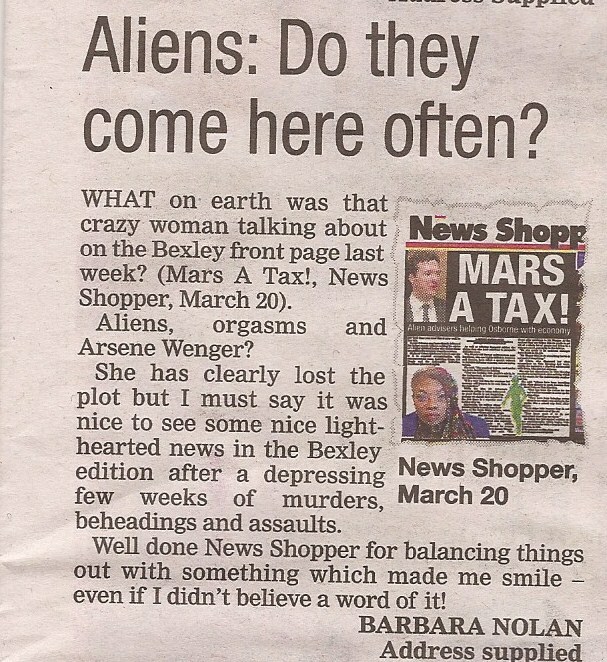 4- A retired London Police Sergeant was on duty at the Police Station when a family came in to report having seen a mysterious green globe land in nearby marshes. A search was carried out but nothing was found. When the Sergeant contacted Fylingdales in Yorkshire they told him to send a motorcycle officer up the next morning with the report. moving in formation over Gillingham Kent in 1966. 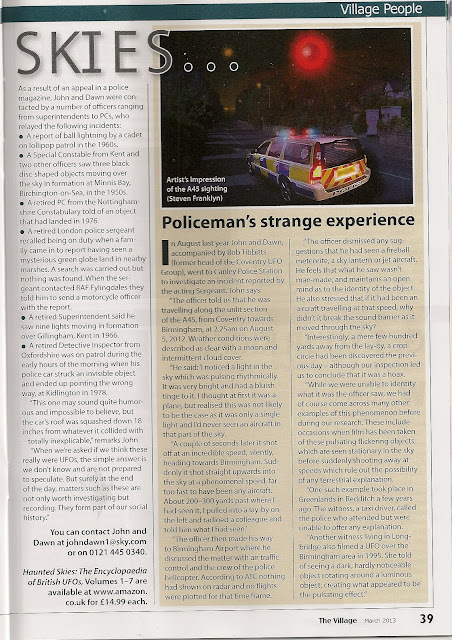 I can be contacted on johndawn1@sky.com or by telephone 0121.445.0340 John Hanson retired Police Officer West Midlands and Dawn Holloway. Today Monday the 14th I went to the Post Office and posted signed copies of Haunted Skies books to various people that had ordered them from me. The 2nd class postage for the earlier Volumes is now costing me £1.90 for 320 pages. Volume 7 is now classed as a ‘packet’ appropriate bearing in mind its costs us a packet of £3.50 to send the book, which I am well aware of but we didn’t have much of a choice; the work is far too important not to publish. Under the circumstances if anyone wants a copy of Volume 7 signed and sent to them I would ask them if they were prepared to help us by contributing £1.50 towards the postage for Volume 7 and £1 for any of the earlier Volumes. This is more than fair as for the last 2 and half years I have have been paying the postage on every book out of my own pocket, not forgetting Volume 7 has 100 extra pages of information! Volume 8 (1980) is still being worked on, and will be in colour which is quite exciting, although we haven’t settled on a front cover yet. Alex and Sonja freezing their butts off! West kennet Longbarrow a dark and brooding day! Silbury Hill, in its magnificence! Adams Grave, Avebury, and the delightful ‘Barge pub’ now ran by Amanda and her partner. The first photo was where the ladeis toilet was before alterations. They are in the process of re turfing the strip of land that was the seating area and have placed a sarsen stone in the middle.